The content created by teams must adhere to editorial policy, be of sufficient quality and must be legally compliant. Daily i advise sites on matters of copyright, child protection, law. Often we are the point of contact for questions with regard to output which need further advice. The key to the role I provide is to know when to refer up and to identify where problems may occur before they happen. The quality of the content produced is often a problem and my job often involves identifying poor quality content and looking at how teams can do things differently or with improved quality. 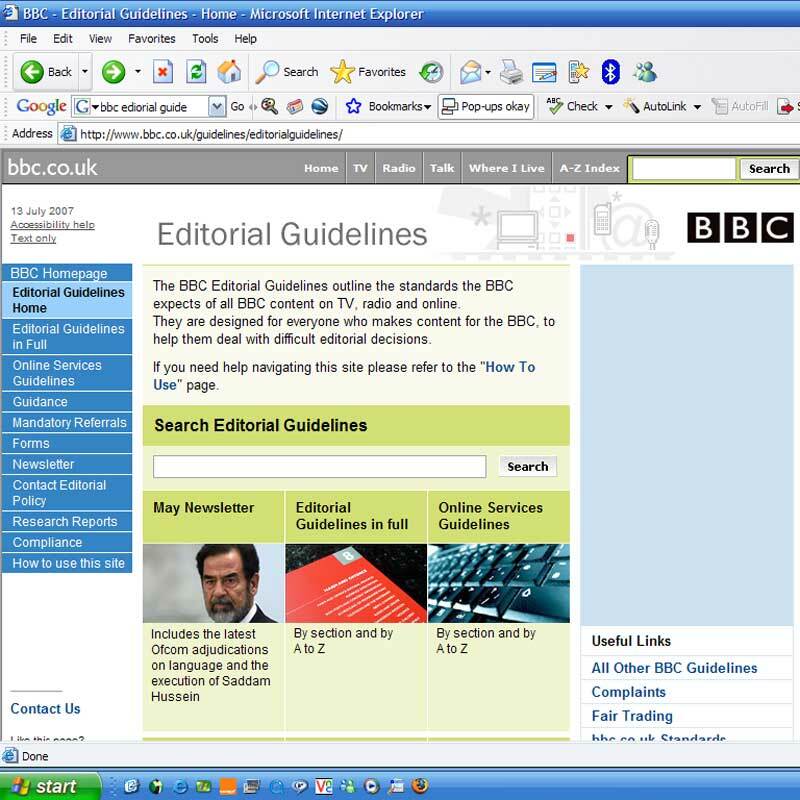 Editorial Policy - Checks and advice on content to ensure it adheres to the BBC Standards and Guidelines. DRM - Use of material online, image copyright, rights restrictions for UK only content. Data Protection - Ensure the details we use are in accordance with the Data Protection Act.